December is here and more than ever before we need to warm up our bodies with nutritious meals! 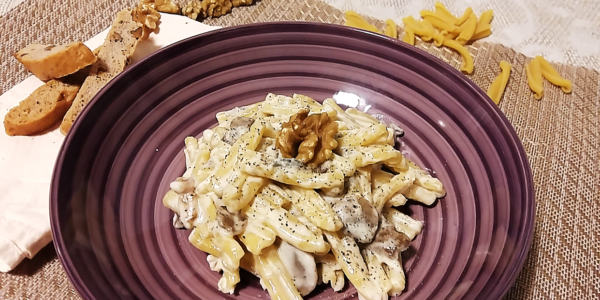 Today I want to share with you one of my favourites creamy and velvety pasta recipe, perfect for winter time! 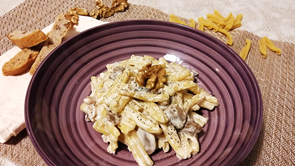 This recipe is typical from the northern part of Italy, where my father comes from. Surrounded by the snowy Alps, the temperatures are far lower than anywhere else in Italy. For this reason, a warm and scented dish of pasta is a touch of joy on a cold winter day! The sauce is made with Gorgonzola Cheese. This type of cheese pair perfectly with mushrooms and walnuts. A combination of an earthy taste that is accentuated by the strong flavour of blue cheese. Make sure that you cook it “al dente”, to have a perfect texture! 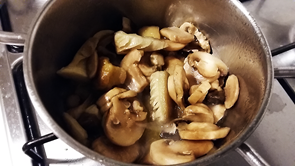 Let’s start cooking the mushrooms! Fry the garlic clove in a pan with a little bit of Extra Virgin Olive Oil “Il Vero”. When the garlic clove is brown add the chopped mushrooms. Cook for around 20 mins with a lid. 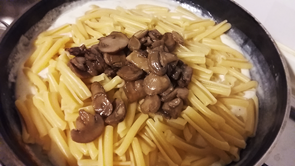 I used fresh mushrooms but you can also use them frozen, they are as lovely as the fresh ones! 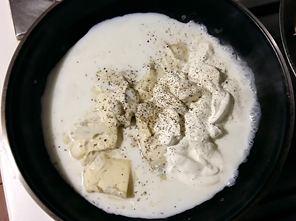 In the meanwhile, put the gorgonzola cheese in a pan and let it melt with a bit of milk and cream. Add pepper and just a little touch of salt (the cheese is already salty!). To cook the pasta, bring a pot full of salted water to the boil. When the water is boiling, add the strozzapreti and drain the pasta. 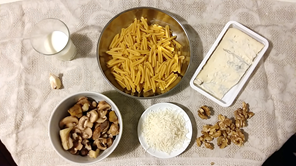 Pour the strozzapreti pasta in the pan containing the cheese sauce and stir all together. Then, add the mushrooms and mix all the ingredients. 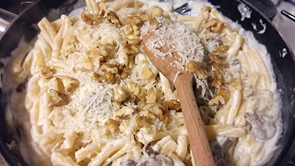 Crush the walnuts in gross pieces, and add a handful of them and the grated parmesan to the sauce as well. Turn off the heat, stir together again, and… all done!! Serve warm! A delicious warm hearting dish of pasta is ready to warm up your soul! 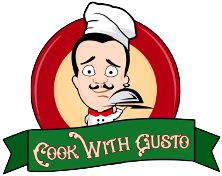 Is there a meat sauce that invokes walnuts and mushrooms? Hi David, this sauce could suit very well roast beef, pork loin and game as deer and wild boar!